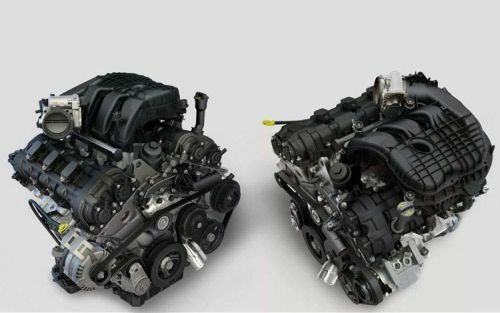 This new flexible-fuel 3.6-liter V-6 engine features a new design with dual overhead camshafts (DOHC) and a high-pressure die-cast aluminum cylinder block in a 60-degree configuration. 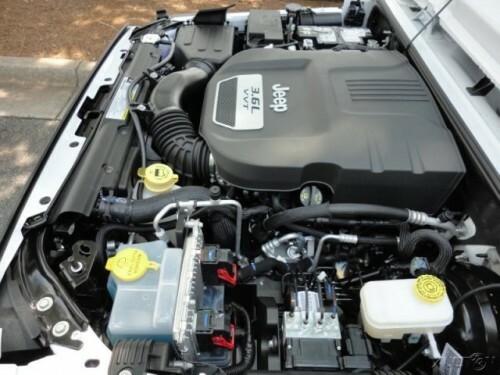 It features variable-valve timing (VVT) and delivers 290 horsepower (216 kW) and 260 lb.-ft. (353 Nm) of torque at 4,800 rpm. It is coupled with the proven W5A580, a five-speed automatic transmission that delivers smooth shifts and optimum fuel economy. The five-speed W5A580 transmission includes adaptive electronic control or Electronic Range Select (ERS) driver-interactive manual control and an electronically modulated torque converter clutch. 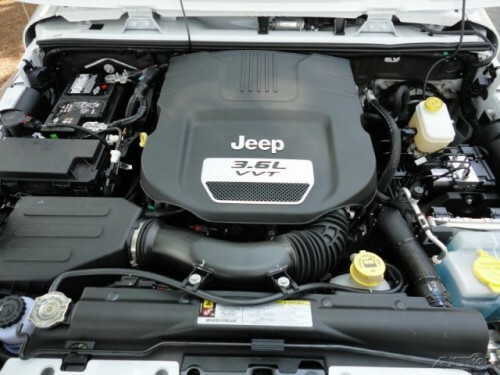 A spokeman for the Jeep Brand, Todd Goyer has indicated that the Pentastar will be the standard engine of all vehicles and its 4-speed automatic will be replaced with 5-speed automatic. 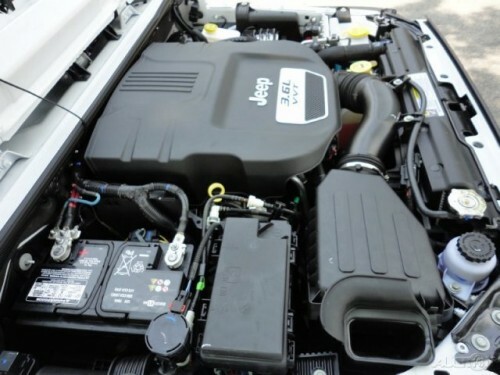 The powertrain will help to enhance the fuel economy ratings of the Wrangler which were rated this year at 15 mpg city, 19 mpg highway. With this upgrade, the ratings will increase to 16 and 23 mpg. Order banks open in June. Production starts at the end of July, in showrooms most likely August/September. 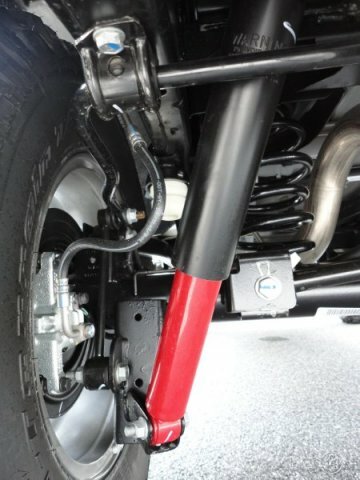 There isn’t many pictures of a 2012 model available, but that is to expected, until it finally shows up on dealers’ lots. 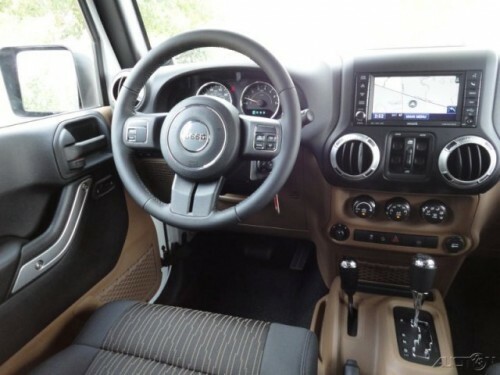 You can learn more about 2012 Jeep Wrangler pricing and options in my other post. Click HERE to read my ramblings about the lack of a diesel-powered Wrangler option again!